Can You Beat a Breathalyzer? DON’T USE A GIMMICK TO TRY TO BEAT THE DUI BREATHALYZER! Any person who believes he or she can read a website or watch a YouTube video to learn how to beat a breathalyzer test, is an idiot. No one should think that a gimmick like putting pennies in your mouth will work and help the person beat a modern, forensic DUI breathalyzer. Today’s breathalyzer calculator devices are 6th or 7th generation technology, using either infrared spectroscopy or advanced fuel cell systems, or both. Original breath alcohol testing equipment was invented in the 1930s and has gone through dozens of modifications, fail-safe procedures, computerization of results, and reports of malfunctions. DUI-DWI laws around the United States have a type of “special” impaired driving law that was created in the early 1950s, called “implied consent” laws. Georgia DUI laws originally permitted a driver to have a 0.15 BAC level, but pressure from the federal government has pushed the adult BAC level to 0.08 grams percent in 2018. Driving while under the influence (DWUI) in Wyoming. The purpose of an implied consent law ORIGINALLY was to use the threat of taking away a person’s right to drive to convince the driver to consent to a post-arrest sample of blood, breath or urine. When this forensic evidence is collected, it creates a SECOND type of DUI charge: being over the legal limit, which is known by DUI attorneys in most states as DUI “per se” (pronounced PER SAY). Per Se Meaning: How Is a DUI “Per Se” Different? Quickly translating this, the already-arrested driver could be convicted of driving under the influence EVEN without any proof of bad driving or the inability to drive safely, due to an intoxicating or impairing substance. This meant that the Prosecutor’s job became easier to secure a conviction, and required much greater DUI defense lawyer knowledge of breathalyzers, field sobriety tests, and alcohol or drugs testing protocols. The advent of such laws also helped spawn a sub-specialty of criminal defense law, sometimes called “drunk driving defense.” For about 20 years, the National College for DUI Defense has overseen the American Bar Association’s testing and certification of criminal lawyers to become a Board-Certified DUI attorney, which is recognized in most states across America. Georgia – a breathalyzer refusal can trigger a ONE YEAR loss of all driving privileges – with no work permit! Arizona – the national leader in forcible blood draws for those who refuse to blow into a breathalyzer. But now, the police must seek an electronic search warrant. Nebraska – a refusal to provide a breath alcohol test can mean mandatory installation of an ignition interlock device to be able to drive. Georgia adopted this type of interlock alternative law effective July 1, 2017. New Jersey is particularly harsh on repeat offenders, taking away the right to drive for 10 years, following by an 11 YEAR interlock requirement, for a 3rd DUI offender. Florida – 18-month total loss of all driving privileges. If this is a second “refusal,” he or she can serve up to a year of jail time plus a $1,000 fine. IF I DON’T REFUSE THE BREATHALYZER, WHAT SHOULD I DO? Don’t talk. Do not explain driving conduct. Do not admit drinking alcohol or drug usage (including prescription drugs). Give documents requested by police (driver’s license, proof of insurance, etc.) and then shut up. You are only required to give your name and address. Do not take any field sobriety test of any type. This includes the portable breathalyzer, verbal exercises like the “ABC” recitation, or any eye test or agility exercises. All field sobriety tests are optional and voluntary, and declining to do these non-scientific exercises has NO BEARING on your right to drive. Once the officer obtains his or her breathalyzer test on the Intoxilyzer 9000 (or in rare cases, a blood test), you have the RIGHT to an independent test of your choice. Select a hospital or 24-hour clinic of YOUR CHOICE, within a reasonable driving distance, and get a blood test. It need not be in the county where you were arrested. You must pay for this blood collection and testing. Breath test officer untrained or marginally trained and cannot explain to a jury anything about how breath testing works. The officer does not have to be an electrical engineer, but he or she should be able to explain the primary functions and operations of the device that takes in a volume of breath and ultimately reports a “number” (or two numbers) that are used for trying to convict the accused citizen. Officer fails to follow breath test training manual protocols, such as waiting period (deprivation period) before retesting after an aborted or out-of-parameters test. Officer fails to adhere to the mandatory steps for assuring that the device is not being affected by possible actions of police near the device that may create false positives. Some ways this can happen is to have any device with an electromagnetic field too close to the testing device, like a cell phone that is the “on” position. Defendant has a physical problem or health limitation, which the officer did not discover through medical screening or simply failed to ask questions about, so as to possibly switch to a type of test (blood test) that would not raise doubt about the reliability of contamination of the breath test device results. Testing room circuitry of the power source of the breathalyzer device has a problem (microwave oven or copier sharing the same circuit, causing brownout). The manufacturers of all breath testing devices generally specify in the factory manual that the power source must be a dedicated, “clean” electrical source). Defendant unable to blow enough sample volume due to age, diminished lung capacity or body size, respiratory health or the inability to achieve a leveled-off BAC breath alcohol level (most breathalyzer machines require: adequate TIME blowing, delivering enough PRESSURE to indicate deep lung air, and that the breath machine “see” a leveling off or the slope from the SLOPE detector readings). Use of machine after factory repair but before a new calibration check is conducted by Georgia area supervisor at the police site. Because these are forensic machines that may be damaged during shipment, or which may not perform properly even after coming back from the factory from being serviced, most (if not all states) require a routine calibration and maintenance check before the device is put back into service. After an auto crash, air bag defenses – “the Tyndall effect” – diffusion and refraction of light; propellant exposure; cut lips; lung and airway irritation & fluid build-up from caustic gas propellant. Only older air bags have talc or baking soda packing materials, so no particulate matter gets propelled into the driver’s lungs with newer air bags (after 2000 model). Video or audio tape contradicts the high breath reading and supports an argument to a jury that no person twice (or three times) the legal limit can walk and talk like this. An excellent video (from police cars, the new body cams or even an adjacent premises video, showing no impairment at the high BAC level revealed by the breath test device. Very high breath test result, yet the Defendant never urinates for 3 to 4 hours or more. Using medical expert, point out the physiological impossibility of not having to urinate. Unintentionally ingesting alcohol, from Nyquil®, Vicks Formula 44®, lip balms, toothache drops, etc. This also can occur from consuming a party punch in which no disclosure of the sweet liquid being laced with alcohol is given. Something in mouth containing alcohol or a similar hydrocarbon volatile chemical that reports as ethanol (Breath Drops with SD alcohol). Dentures, gingivitis, bridgework, “pockets” from gingivitis that can retain alcohol within those pockets and then be delivered into the sample chamber of the breath testing machine. Vomiting, belching (even a silent belch or regurgitation that is not expelled from the mouth cavity) within 20 minutes of test (some states say 15 minutes) without first rinsing the mouth with water or re-starting the breath test with an inadequate deprivation period before retesting. The officer’s police report supports sobriety (by not enumerating the usual signs of an intoxicated person), or due to a lack of full investigation of alternative causes, like physically manhandling the DUI arrestee. Elevated breath temperature caused by fever, hot tub, sauna, detention in hot sun or back of patrol car in summer, dancing, menstrual cycle, etc. [only Draeger® breath test devices are supposed to catch this and adjust for elevated breath temperature]. Failure to verify that the simulator temperature remained constant during testing and within tolerance; otherwise, results cannot be accurate. If BatMOBILE, wiring issues and electrical configuration exist; a false positive result can be rendered. These mobile BAC testing vans have AC/DC conversion issues; possible low voltage spikes. No proper periodic testing of quantities of commonly occurring interfering substances likely found in a living subject, to assure machine’s ability to distinguish alcohol from other volatiles. The chemicals naturally produced by a diabetic’s breath during ketoacidosis are not introduced into the breath testing device, during calibration checks. Improper or incomplete computer data or “function key” tests that do not get recorded during periodic inspections. In Florida, the inspectors were caught unplugging the Intoxilyzer 8000 when a calibration check was failing, so as to make the machines look “perfect. The computer source code is ordered to be analyzed for proper operation, and the testing device is programmed incorrectly, to not allow a breath test when a person with small or diminished lung capacity gives a sample. Simulator solutions not retained for subsequent re-analysis, if challenges to the precision of the standard is made. Blowing pattern irregularities (blubbering and crying causing artificially high reading that was triggered by a water vapor problem) and an elevated reading on the breath test instrument. Denial of blood test—the more reliable target with the more accurate method of analysis – especially if the state (e.g., California) implied consent law allows the DUI detainee to opt for a blood alcohol content test, versus a breathalyzer. Discovery not provided in a timely or complete manner by the prosecutor prior to trial; results excluded, whether a breath alcohol test or blood alcohol test or DUI drugs. Officer gives implied consent, but then makes improper, coercive statements to the arrested subject, thereby obtaining the breath test result while violating the law, which generally states that such tactics cannot provide a voluntary consent to breath testing. Officer obtains first BAC results, which will not support a per se case, then waits a few more minutes and retests the same person, obtaining a reading ABOVE the per se Most state laws require that ALL test cards and computer database results be retained for evidentiary purposes, and that such manipulation is illegal. Officer fails to get his/her annual or periodic “updates” in training, thereby disqualifying the test operator from administering tests. The person who collects the breathalyzer tests from the arrested individual types in the operator number of a different breath machine technician because the officer running the tests had either allowed his or her permit to lapse, or never had his or her permit, but can read the “number” of an approved breath test operator off the certificates in the breath testing room. In handling case, officer commits crime (e.g., obstruction of justice, perjury) to conceal evidence; prosecutor cannot proceed to trial OR (more commonly) the pullover officer makes an illegal, warrantless stop or arrests the person for drunken driving without probable cause. All evidence collected after an illegal, unconstitutional arrest is thrown out by the trial judge, if he or she rules that the DWI-DUI arrest was illegal. “FIRD” Defense – The breath test officer has been: Fired, Indicted, Retired (and moves away) or Died, and cannot (or WILL not) be in court to lay a proper foundation for the breathalyzer test. William C. (Bubba) Head is an Atlanta DUI Lawyer who has handled thousands of drunk driving cases in Georgia, and several other driving intoxicated cases outside the state of Georgia. In over 20 cases, the State’s breathalyzer test exceeded a 0.20 BAC level, yet the jury rejected the breath alcohol test results. The DUI lawyer Atlanta GA has been a DUI book author on more than a DOZEN different books since 1991 on the topic of aggressive DUI defense. In national seminars, the Georgia DUI lawyer has helped over 800 criminal defense attorneys learn advanced trial tactics for defeating a breathalyzer test. He has two highly skilled partners, Larry Kohn and Cory Yager, with thousands of DUI cases under their belts. Plus, in 2016, both partners became legal book authors for chapters in national, criminal trial practice books. To win your DUI case, you need a DUI lawyer who knows the local court and its personnel and can find ways to win your drunk driving case. Many clients are satisfied to have the DUI reduced to reckless driving or some other lesser charge. Call 1-844-832-6384 to talk with the best DWI-DUI attorney in Atlanta or in your local court, if you feel that this is who can best serve your needs for aggressive and effective representation. Whether you hire a member of Mr. Head’s law firm or DUI lawyers near me, let our law office guide you about this choice for your drunk driving or a drugged driving case. 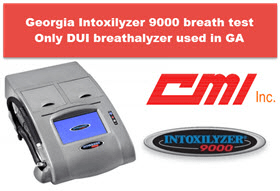 Ask our Atlanta attorneys how to beat a breathalyzer.